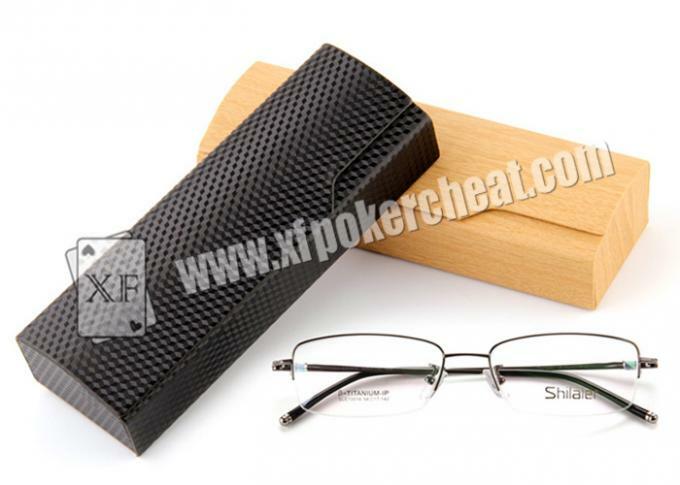 This is new designation infrared camera, a lot of people wear glasses as their bad eyesight, so glasses case with them are very normal, and no one will care what glasses case you take. 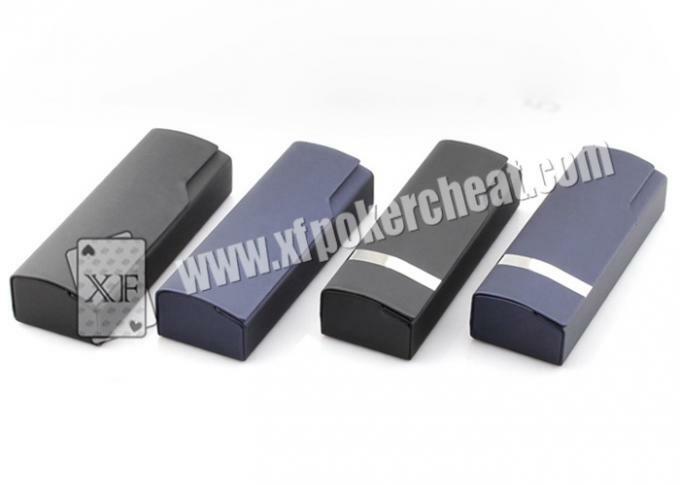 Glasses case camera can scan invisible bar-codes marked playing cards, and transmit signal to poker analyzers, and then poker analyzers will analyze and read the invisible bar-codes and tell you who is winner. 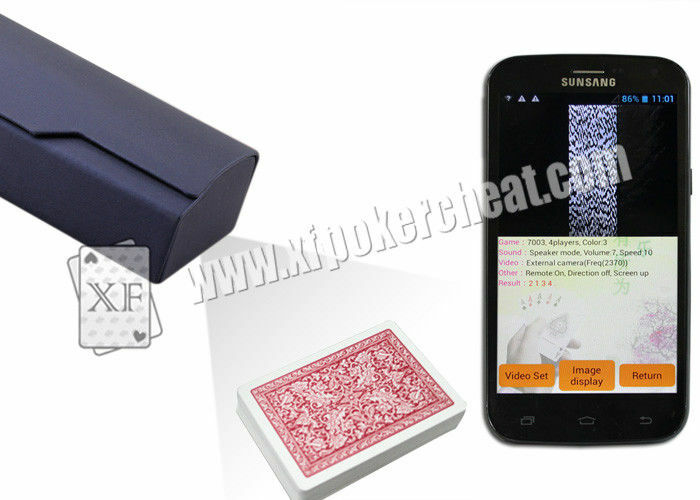 Scanning distance for glasses case camera can be made differently, such as 6-12 centimeters, 20-30 centimeters, 50-60 centimeters and so on, its battery can be made changeable and working life is about 3 hours. 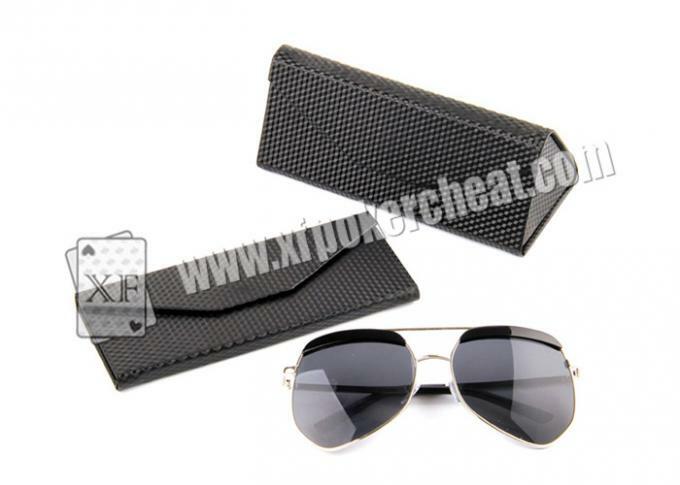 What’s more, we are able to make a remote control to turn the camera on and off. It will include one piece of charger.